A family on the brink of destitution moves to Asia for a promising job for the father Jack (Owen Wilson.) The mother Annie (Lake Bell) and two young girls come along as well and they check into their hotel. Unbeknownst to them, their timing is incredibly bad as the Prime Minister is assassinated as they land and a bloody rebellion begins shortly after their first restless night in the hotel. It doesn’t help that the mob is particularly angry at the company Jack was going to work for and they are actively shooting white people on sight. 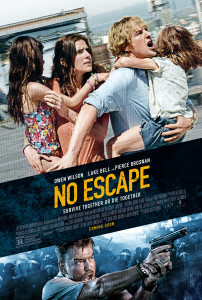 No Escape is refreshingly similar to the original Die Hard in that it doesn’t try to make Owen Wilson and Lake Bell’s characters superhuman. The terrible things they have to do, choices they have to make and highly dangerous physical things they have to do (all while protecting two young girls) is kept very believable. Once the chase begins, it’s a tense thriller to the very end save for a bit of comic relief and extra help from a mysterious man (Pierce Brosnan) who does give the movie a couple of one-liners and slick action moves. The wise choice to keep him from being their “guide” through the majority of the film allows him to essentially be a release valve before the tension ratchets up again. I was nervous about how Owen Wilson and Lake Bell would measure up as action movie stars, but in this movie the closest anyone comes to that archetype is Brosnan. 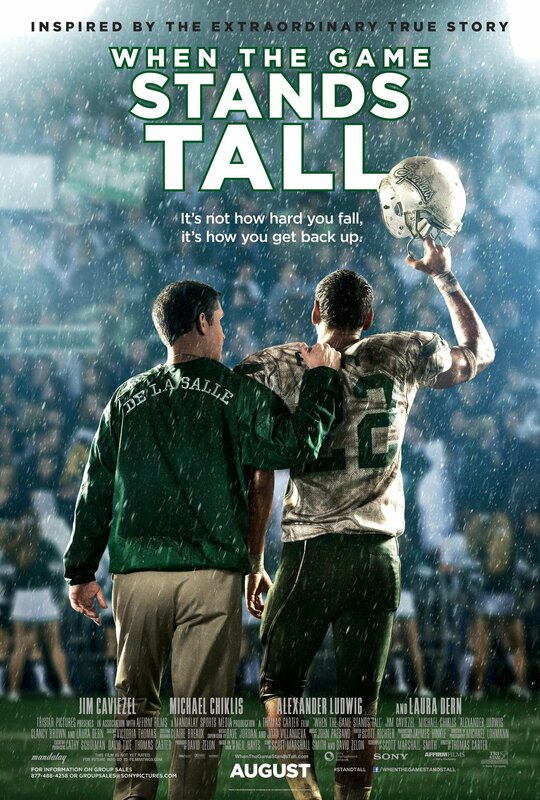 Wilson and Bell feel like real people – their marriage isn’t perfect and they don’t always agree. All of the performances work and the movie keeps you on the edge of your seat with legitimate stakes all the way until the end. There are some very, very intense scenes including some that involve the young girl characters that place this firmly in the “don’t take your kids” category. If you like a tense action-thriller with characters you care about, No Escape should be on your list to see in theaters.